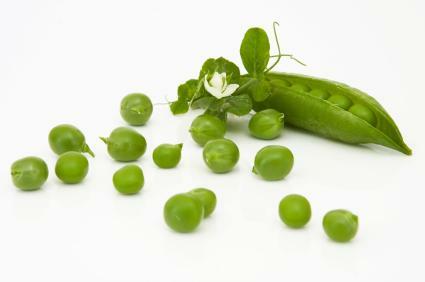 Green peas are a popular legume. Legumes are an important part of a vegetarian diet, but because there is so much variation in the way they grow and are used, they can be challenging to identify. Basically, a legume is any plant that bears its fruit inside a pod. 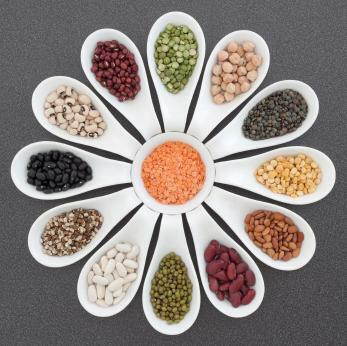 Learning what legumes are and how to identify them can give you a number of options for adding protein and variety to your meals. All legumes consist of a seed and a pod. This pod usually has two halves, sometimes hinged, with a seed inside. Typically, people eat the seed portion of the legume, but they may also eat the pod. The best example of a legume is a green pea: it can be bought and eaten in its pod or removed from the pod before consumption. There are more than 18,000 different species of legume plants, each with its own characteristics, such as how its pods grow and how the plant flowers. In spite of this, there are two classifications of legumes: forage legumes and grain legumes. Grain legumes are the most common, being grown for human consumption, although you may be familiar with forage legumes as well. Forage legumes are typically found in fields. They may be cultivated, like alfalfa, or they may grow wild like clover. Farmers frequently cultivate forage legumes as feed for livestock; animals can graze directly on the legumes in the pasture where they are grown. The pods of forage legumes typically grow underground, while the leaves and flowers appear above ground. Grain legumes are the plants that are grown for human consumption. They can vary widely by the plant type and age at which they are harvested. 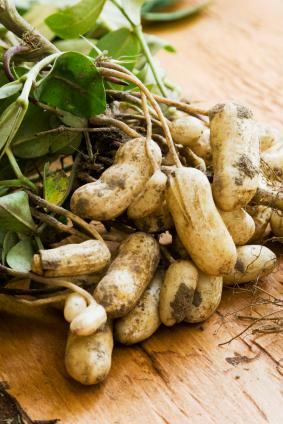 Peanuts, for example, grow a dry, brittle pod that surrounds the seed, while green beans grow a moist, edible covering over their seeds. Grain legumes can belong to many different plant families within the legume family. Many legumes, like peanuts, grow their pods underground like most forage legumes. Other legumes, like green beans and peas grow their pods above ground on vines. The plant that grows lentils is a bushy, annual plant that also grows its pods above ground. In addition, legumes are also a great source of nutrients like phosphorus and magnesium. Legumes are a great source of protein for vegetarians, and they can be cooked and served in a wide variety of ways. Try adding some to your diet and experience the flavor and versatility of these nutritional power houses.